I haven’t been everywhere, but it is on my list. I don’t know how in the world we get so lucky. These last 2 months or so we have not only moved and lived in three different cities, we have moved to destinations. Half Moon Bay, Ventura, and Palm Springs–just pinch me. Or punch me, which is a sentiment shared by my friends in some climates where winter is still holding on for dear life. The job in Half Moon Bay came to an end the second week of March. 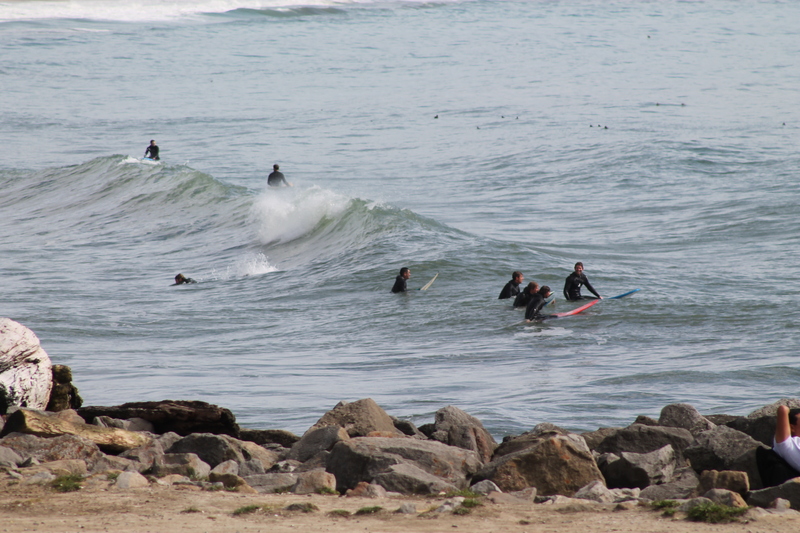 There were so many great surf shops, markets and restaurants in HMB. I already miss the fresh crab right off the docks. If you are ever in the Bay Area, take the quick drive to the coast. One of my favorite spots was the Half Moon Bay Brewing Co. — super laid back atmosphere, a view of the harbor, and killer happy hour! We were ready to move on to the next adventure but were so grateful to live a stones throw away from the ocean for a few months. Ryan surfing with a few of his buddies. From Half Moon Bay we headed straight down to Ventura, CA. Ryan signed the Southern California books and our plan was to hang out for a few days and wait out a call in sunny SoCal. We were stoked to spend more time on beach and visit my awesome extended family that calls Ventura home. Well fast forward to the end of March. We spent a MONTH in Ventura. The books weren’t moving too quick and we didn’t mind. 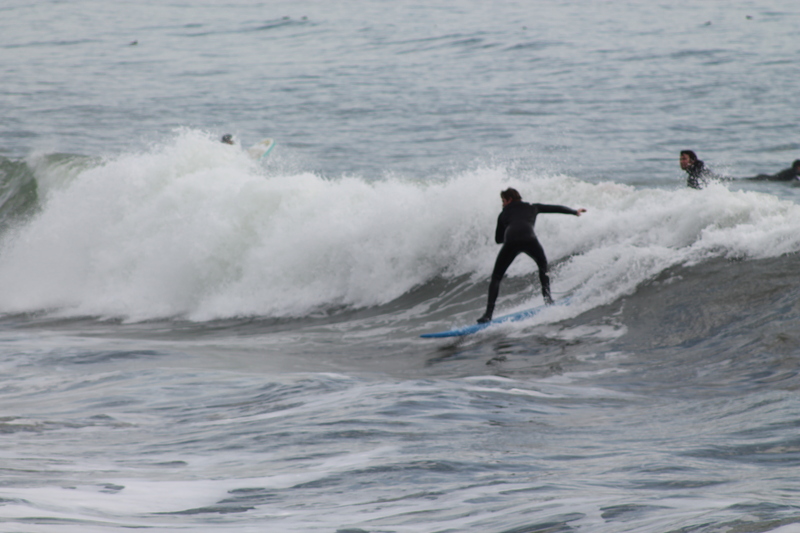 Ryan surfed almost everyday–and I attempted almost everyday. We had bonfires outside with my cousin and his precious family and spent time with my wonderful Aunt & Uncle. We made it up to Ojai for some awesome hiking that brought back memories of the time I spent there as a kid. I have always know that I was/am a beach bum and the month being at the ocean day in day out confirmed that. We were both living the dream, I didn’t work too much and Ryan not at all. Ryan got a call to head to Palm Springs and like all the other times before we said our goodbyes and hit the road before the sun went down. Palm Springs so far as been wonderful. We are staying at a place that is equally hokey and luxurious. I feel like it would be a stop on the Griswold Family road trip. But the pool is a refreshing 70 degrees and there are some awesome natural hot springs on the property. We spent Easter hanging out in Joshua Tree National Park–it was gorgeous. I also have some company and hiking partners in a friend from Oregon and another awesome chick from the Spokane area.